It seems like everyone has a Facebook page nowadays. But plants, animals, bacteria, and fungi were using social networking before it was cool. Any given organism can have hundreds of "friends" in an ecosystem. They might even have more than you! Fungi, like all decomposers, are part of an intricate food web with many nutritional levels. 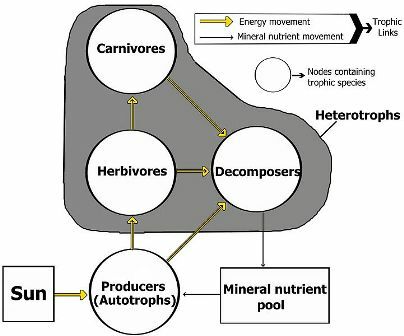 As you can see, fungi fit in at every level because they can feed on producers as well as primary, secondary, and tertiary consumers. For example, the false morel is commonly found on plant litter, so it breaks it down and recycles the nutrients from the dead material back into the soil. Once they are available again, a lot of organisms can use them including the common worm, bacteria like Brevibacterium linens, and plants like the jack in the pulpit, which grows in the same areas of North America as the false morel. Although the species Gyromitra esculenta doesn't, some species of morels form symbiotic associations with plants through ectomycorhizzae. This is when the fungus forms a sheath around the root of the plant and increases the surface area for nutrient absorption. The fungus benefits from this relationship because it gains nutrients from the tree, and the tree benefits because it gains more surface area for absorption through the hyphae. 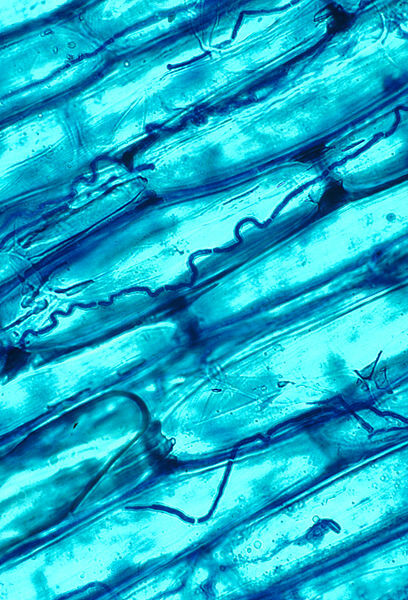 The picture on the left is an example of endomycorhizzae, where hyphae grows inside the plant root. Research has recently shown that species of insects from the order Diptera use fungi to complete their life cycle. 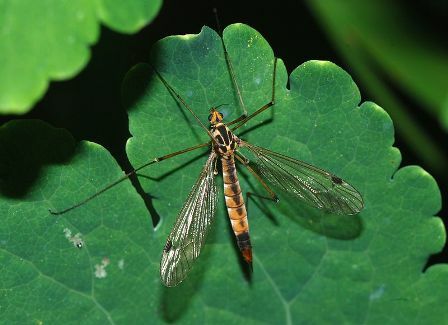 Metalimnobia quadrimaculata, a species of crane fly (below) has been shown to develop on fruit bodies of ascomycota, including Gyromitra speices. They can also use decomposing wood and the dust at the base of mushrooms for nutrition. These insects are called obligatory sapromycobionts, meaning they depend on getting their nutrition from decomposing fungal fruit bodies. They are endobionts (organisms that live beneath the substrate) and most are saprophytes, using fungi like they would other decomposing organic materials like plants or animals. This relationship works because fungi have all the nutrients that these insects need for development. Surprisingly, the presence of toxins in the fruiting bodies doesn’t inhibit the fly's development. This could be because it doesn’t matter if there is damage to the fruiting body if it has already dispersed its spores. Even if the insects do damage the spores or asci, it usually isn’t serious. Since Gyromitra esculenta is poisonous, the most famous interaction it has with other species is its ability to poison them. When an animal or human eats one, it might get sick. If the animal survives, it most likely won’t eat it again. This acts as defense for the mushroom. Another animal that uses this strategy is the Japanese puffer fish. For more information on how its toxin affects humans, see the toxicity page.